This requires your physical presence at the Embassy. Please book an appointment via this link or call us directly. 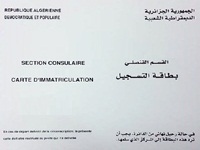 Please note that the documents needed for the renewal of the consular registration are the same as for the first one. However, and in order to make things easier, some documents will not be requested, such as the birth certificate (unless there is a change in the applicant’s situation). Notarized copy of a document showing the legal presence in Finland.